Broughty Ferry is a former fishing village on the Tay estuary, four miles down river from Dundee, on the east coast of Scotland. The fishing boats have gone now, together with the men who sailed them and who manned the whaling ships which made the perilous journeys to Arctic waters in the days when whale oil was a precious commodity. In the nineteenth century the ‘jute barons’ of Dundee began to build their handsome houses here, and ever since it has been a place for quiet homes, with nothing more disturbing than the cry of gulls and oyster-catchers, the river carrying little traffic, but providing a home for seals and dolphins. The last place you would imagine to have witnessed dragoons in pursuit of a fleeing Jacobite officer in the aftermath of a terrible battle. Yet it is the place where the Chevalier de Johnstone made his dramatic escape, thanks to the courage of some unlikely friends. James Johnstone, later known as the Chevalier de Johnstone, was born in Edinburgh on 25 July, 1719, and grew up in Scotland and London. In 1738 he visited two uncles in Russia, evidence of an early taste for adventure which would shape the rest of his life. 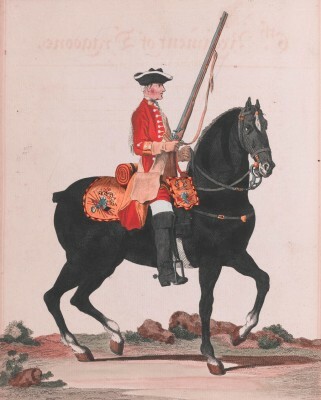 Almost immediately after Bonnie Prince Charlie raised his standard at Glenfinnan on 19 August 1745, Johnstone joined the Jacobite army in Perth, and soon rose to the rank of captain. 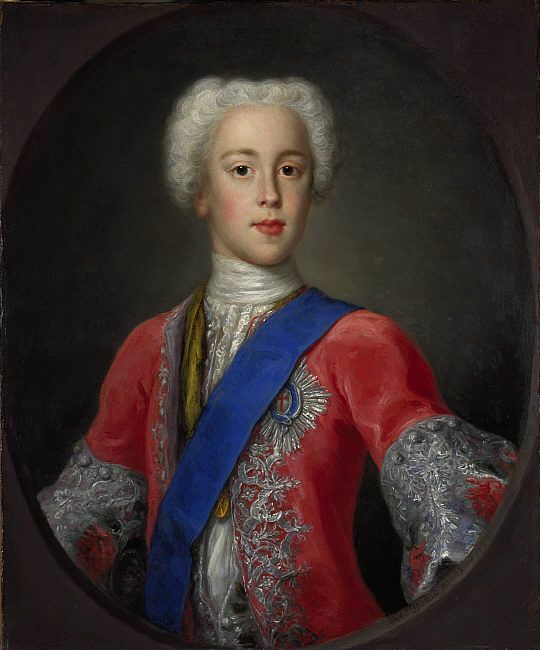 Throughout the 1745 rebellion, he participated in all the major battles, culminating in the massive defeat at Culloden, on 16 April 1746, when the Jacobite forces were scattered and then pursued ruthlessly throughout the Highlands by the Duke of Cumberland’s army. Most of those who were caught were hanged, while Prince Charles Stuart turned tail and fled, abandoning his followers and escaping to France. Writing later in his memoirs, Johnstone was severely critical of the prince, claiming that he could have rallied his forces instead of deserting them. Most of the Jacobites who survived tried to go to ground in the mountains and glens of the Highlands. Some made their escape, like the prince, via the western isles and thence to France (always a supporter of the Scots against England). 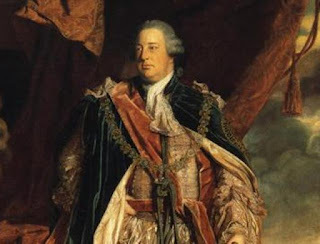 James Johnstone, however, made the perilous decision to head south, into the Lowlands which were held by the English army and by the Protestant Lowland Scots who remained loyal to the English crown and not to the half Polish, quarter Italian, French speaking Catholic Prince Charles. And this is where Broughty Ferry enters the story of the Chevalier de Johnstone. Johnstone managed to reach the estate of a Mr Graham at Duntrune, a man he had been told might be willing to provide help. Graham’s two sons had fought with the Jacobites, and his family had been involved in the 1715 rebellion, but he had stayed at home during the present troubles, and so was not suspect. Inspired by a particularly vivid dream, which was to prove accurate, Johnstone was trying to make his way south to Edinburgh, where he had old friends who (he hoped) might be able to smuggle him on board a ship for France. However, to reach Edinburgh he would have to cross the two great east coast rivers – the Tay and the Forth. Graham’s estate at Duntrune was some five miles to the north of the Tay, and the whole area between Duntrune and a possible crossing place at Broughty was alive with Cumberland’s dragoons. Graham hid Johnstone in an enclosure on his estate, full of high bushes of broom, and provided food – eggs, butter, bread, and cheese for breakfast, washed down with a bottle of wine and a bottle of beer – Johnstone’s first decent meal for weeks. Afterwards, while the fugitive slept, Mr Graham devised a plan for him to reach Broughty, as it was known then (or ‘Brochtie’ in Scots, 'Bruach Tatha' in Gaelic), where he arranged for fishermen to row him across the river. He then returned to provide Johnstone a dinner of the best piece of beef he had ever tasted. Over an excellent bottle of claret, Graham explained the plan and the two men synchronised their watches. First, at five o’clock Johnstone must follow, at a discreet distance, one of Graham’s men as he walked some miles to a windmill carrying a sack of grain for his master. This Johnstone did, waiting in hiding for his next guide, an elderly woman who led him on until they reached the hill overlooking Broughty. As Johnstone waited in considerable fear, a large troop of dragoons rode up the hill from Broughty, passing within feet of his hiding place, having searched every fisherman’s cottage, boat shed, and tavern in the village. They were closely followed by the old woman, in a state of panic. As it was drawing toward dusk, the dragoons rode away, having failed to find any of the Jacobites for whom they had been searching. The old woman, however, warned that the fishermen now refused to row Johnstone over the river, having been intimidated by the threats of the dragoons. She urged him to return to Duntrune. This the Chevalier de Johnstone refused to do, and left his hiding place to hurry down the hill to the village where he had expected to be taken across the river on the next stage in his escape. He had no difficulty in finding the fishermen’s inn on the shore, and no difficulty in finding the fishermen. But the men continued to be terrified and flatly refused to take him across the river. Johnstone argued that, since the dragoons had just searched the whole village and found nothing, now was the safest time to make the journey. Still they refused. The innwife, Mistress Burn, had two exceptionally beautiful daughters, Mally and Jenny. They taunted the men with their cowardice, but to no effect. At ten o’clock, Johnstone and the two girls ran the boat down the pebble beach to the river and got aboard. The Tay was then about two miles wide at this point, and it carries more water than any other river in Britain. To row across it, in the dark, in time of war, was no small undertaking, but the two girls took turn about on one oar, while the Chevalier de Johnstone took the other, and thus the fugitive officer was rowed safely across to Fife, reaching it around midnight. Once on shore the girls set him on the road to St Andrews. They refused any payment, but Johnstone managed to slip ten or twelve shillings into Mally’s pocket, before kissing them both soundly and continuing on his flight to Edinburgh. He was never to see them again, but he never forgot them. After more adventures, the Chevalier de Johnstone reached Edinburgh and travelled thence to Rotterdam and Paris, disguised as a servant to Lady Jane Douglas, as foretold in his dream. He would continue to lead an exciting life for many years in Europe and Canada, eventually recorded in The Memoirs of the Chevalier de Johnstone. As for Broughty and the two girls, Mally and Jenny Burn? No doubt Broughty slipped quietly back into its life as a fishing village, and presumably the girls held their tongues, for there is no record of reprisals by Cumberland’s forces. Today a simple plaque stands as a memorial to their act of defiance and courage, in the face of the fishermen’s cowardice. 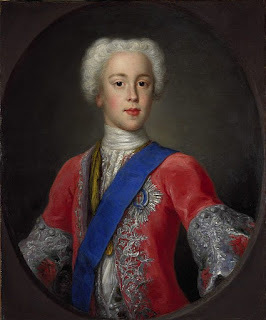 Charles Edward Stuart was NOT a quarter Italian - where do you get that from? You are presuming that the Lowlander preferred a German king? CES spoke many languages fluenty, but English was his first language from childhood, not French. His Tutors were Irish, Scots and English, so speaking French would have been a bit of a problem. While in Scotland, he studied Gaidhlig from the poet/warrior Alexander MacDonald. Suggest you consult Frank McLynn's authoritative biography before you write and publish anything else about this man.